Soyu and good friend Nicole spent a fun day with an international fan on 'Seoulmate'! 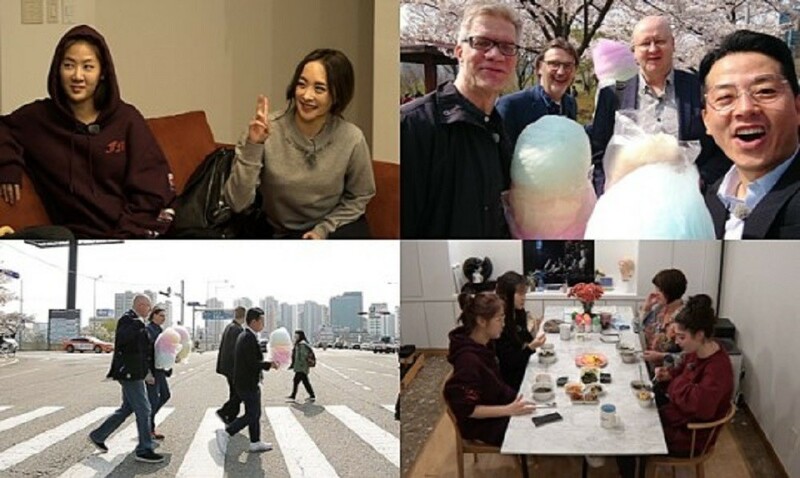 For the upcoming episode of 'Seoulmate', Soyu and Nicole spent a fun-filled day with Tilly, a K-Pop enthusiast and the daughter of Soyu's guest family from New Zealand. Before the family returned from their short trip in Hwasung, former KARA member Nicole paid them a surprise visit! Since Nicole was fluent in English, the family was able to communicate with ease. Soyu, Nicole, and Tilly held a K-pop dance party at night, and they even danced to Tilly's first K-Pop song "Touch My Body"! In the midst of it all, Tilly's mother also cautiously confessed that she was a fan of BTS. For more of 'Seoulmate', you can tune into the next episode on June 16 at 6 PM KST on Olive TV or tvN. Would you love to spend such a day with your favorite idol?